The purpose of this paper is to underline the continuing practical role in plant maintenance, whether in managing the maintenance function or maintaining the plant itself. 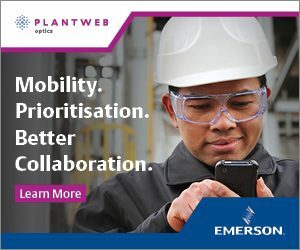 While the advent of technological developments such as automation, computing, smart electronics, remote monitoring and wireless communications has changed the broad approach and in many ways improved the efficiency of maintenance, there are many decisions that continue to require a practical knowledge of the plant in service. Maintenance to keep plant in optimum operating condition is carried out in all industries in some form or other. The fundamental approach, however, is much the same, involving condition assessment, repair as necessary, scheduling of future assessments/repairs, and condition monitoring. The extent to which each maintenance stage is carried out will depend on the industrial activity itself and will be influenced by the unit cost of the product produced. Safety is, of course, an essential consideration. The proportion in which individual strategies such as reactive, predictive, and preventive, are built into the overall maintenance system varies according to the type of industrial activity. The general approach, however, is to reduce reactive maintenance to a minimum, consistent with other conditional factors, as this is found to reduce the overall maintenance cost. The purpose of this paper is to underline the continuing practical role in plant maintenance, whether in managing the maintenance function or maintaining the plant itself. While the advent of technological developments such as automation, computing, smart electronics, remote monitoring and wireless communications has changed the broad approach and in many ways improved the efficiency of maintenance, there are many decisions that continue to require a practical knowledge of the plant in service. Decision-making to decide on maintenance strategy, visual condition assessment, and the maintenance and servicing of fixed assets, including the new computer-based technology and instrumentation, is still a practical reality. The basic purpose of all maintenance is to keep plant operating in the most cost-effective way, consistent with other demands such as product cost and safety. The overall maintenance strategy adopted at a particular company will depend on a combination of strategies that management regards as offering the best approach to reducing or optimising the maintenance cost for the type of operation concerned (Table 1; refs 1-7). The general approach to reducing maintenance costs is to reduce reactive and preventive maintenance to a minimum, while at the same time increasing predictive-based maintenance. Before 2000, the common approach in industry was a combination of reactive (too late and leads to failures) and preventive (unnecessary and a waste of money). The percentage of reactive maintenance is strongly influenced by the type of industrial activity. Less reactive maintenance is targeted in large, unitary or single-site operations, and more especially those regarded as hazardous, such as nuclear, chemical or refinery operations. On the other hand, water utilities operating many smaller water (and sewage) treatment sites with simple operations, such as borehole abstraction of water, disinfection (chlorination) and pumping to customers, tend to rely heavily on reactive maintenance (over 80% in the case of Thames Water); there is considerable potential for a more proactive approach with management changes and the help of new technology to reduce this high reliance on reactive maintenance. Predictive maintenance involves the regular condition assessment and monitoring of key operating parameters of plant. In general, in the USA, predictive maintenance is about 10-15% of the maintenance activities in a typical plant, but should ideally be close to 50%. It is perhaps under-used because it is considered too expensive, the range of tools available is not understood, plant maintenance personnel are “too busy” to implement predictive techniques or the expertise to implement it is lacking. The benefit of proactive maintenance cannot be over-emphasised. As an example, the Caterpillar Company, the well-known US manufacturer of construction equipment, reports that catching a problem before a failure happens results in repair costs that are 5 to 25% of an engine’s value. Catching a problem after a failure leads to repairs that are more than 65% of the engine’s value. New tools and capabilities such as remote monitoring, smart technology and wireless communication with plant to determine its actual condition and make remote changes, combined with a computerised maintenance system, can help maintain plant more efficiently and effectively, hence allowing more predictive and proactive maintenance to be performed and thus best practice to be achieved. An aspect of maintenance that is tending to lose importance with the move to increasing automation is the practical repair of the plant asset itself. Ineffective repairs which require more than one repair visit add considerably to the cost of maintenance, the extent of which is not realised because it is not recorded or followed up effectively. Computerised maintenance systems, however, should allow the actual repair cost to be recovered and hence effectively identified and addressed. The need for specific practical skills appears to have lost emphasis in recent times with an increasing move to multiskilled staff (mechanical and electrical) to take advantage of new technology introductions. This has led to staff being perhaps less competent in site repairs than they used to be, and hence to an increasing number of plant repairs being contracted out or offsite, adding further to the maintenance cost. The combination of maintenance strategies selected should be based largely on minimum cost. It is essential to monitor maintenance costs in detail, in order to understand how each strategy affects costs, as the basis for effective action to reduce and optimise costs. Again, a computerised maintenance system is the best approach to managing the overall maintenance picture, including actions and costs. In any maintenance scenario, it is important to select new plant which is efficient and optimum for the operating conditions: poor selection will increase maintenance costs significantly. While it is easy enough to design an efficient maintenance programme given knowledge of the industrial situation and the advantages of each maintenance strategy, the effective practical management of the programme itself is a challenge. Inefficient maintenance probably contributes more than 10% to the overall cost of maintenance, made up of inefficient management of the maintenance function itself and inadequate repair. 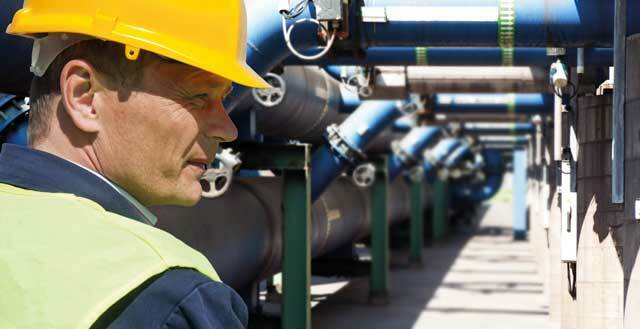 Maintenance programmes are tailored for each industrial situation or activity. The two basic approaches are: centralised maintenance (management of maintenance largely or entirely carried out by a separate maintenance department); or decentralised maintenance, ie maintenance split across several departments (Table 2; refs 8 – 11). Which is the dominant approach depends to a large extent on the industrial activity itself. Maintenance at single large operational sites (eg oil refinery, chemical complex) is best carried out largely through a centralised maintenance department, whereas maintenance in an industrial operation comprising many sites and of varying size (eg a water utility) is best served by a decentralised approach. For example, maintenance (reactive) of plant itself would be carried out by qualified staff under the control of production, with predictive (and preventive) maintenance carried out by a separate maintenance department. Managing maintenance separately across several departments can lead to a lack of contact and co-ordination, and a reduced focus on the overall role of the maintenance function itself. As with all human activities, understanding human behaviour is essential in order to get the best out of staff and hence establish an efficient and cost-effective maintenance programme. A happy workforce is an efficient workforce. The literature has many references to help in managing staff effectively (ref 11), but it is the practical application of this guidance that is the challenge. The same basic approach to managing staff applies to all industrial situations, including health and safety. In the UK, the Health and Safety Executive (HSE) provides guidance in human factor management in helping to reduce accidents. This is also applicable to the increasing approach to operating and controlling process plants remotely, as this has a significant effect on the way work is performed. Establishing a good working relationship between management and technical staff, especially taking on board suggestions from practical staff, is essential. Other important points are: instructions should be clear, quality of repair work should be checked, and all work should be recorded in brief (eg on a computerised maintenance system). Plant condition assessment comprises two basic approaches which are usually combined in practice: remote electronic monitoring and regular, visual inspection (Table 3; refs 12 – 16). 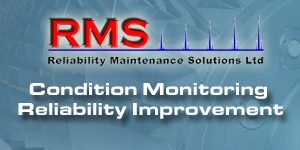 The regular, visual inspection of plant condition is still an important part of plant maintenance management, despite the increased use of remote condition monitoring. Small leaks, external corrosion, bottleneck issues, excessive vibration, physical damage to plant and the like can only be detected effectively by visual inspection. A systematic and regular programme using standardised inspection templates, either paper-based or using portable computer tablets, is the most effective approach to visual plant assessment. The use of standard templates is reported in the literature for various industrial situations, and should form the basis for the development of in-house programmes. Visual plant assessments should be as simple and short as possible to be both effective and to encourage their use, and are best performed in the company of operators who are familiar with the plant operation. The increased use of remote condition monitoring of key plant operating variables such as product flow, temperature, vibration, and pressure provides guidance to the visual assessment of plant, improving the effectiveness and speed of the visual assessment. A valuable source of information on plant condition is site operator and remote control room logs. Many Thames Water sites are controlled remotely using a SCADA system, and issues noted by the controllers such as pump or instrument failures are logged and provide the basis for follow-up actions. The most significant change in maintenance in recent years has been the introduction of new digital technology, such as the increased use of automation and remote, wireless monitoring and control (Table 4; refs 17-22). Other developments include computerised maintenance systems, used almost universally in one form or another in larger industrial operations, and improvements in the reliability of conventional equipment such as sealed or automatic lubrication systems. These changes have in turn changed the mix of qualified staff needed, with an increase in ICA (instrumentation, control and acquisition) staff to manage the increase in electronic instrumentation, and an increase in the contracting out of plant repair and specialised maintenance functions. The changing face of maintenance due to new technology is widely reported, particularly the use of the Internet of Things (IoT), data analytics, and smart technology. The IoT refers to the automatic transfer of plant data over the internet. Data analytics is the use of software systems to analyse data and propose conclusions, some of which may perform control functions. Smart systems are those that use built-in or programmed skills to analyse a process or situation and manipulate variables to ensure a plant is run efficiently and safely. Technology in itself does not improve plant operations: it is the effective use of this technology that is the key factor (ref 23). Digital technology produces a large amount of information, for example alarms, and flow and pressure data, which may well have been the attraction in its selection in the first place. However, this information needs to be effectively managed to have a real cost benefit. The cost of this management in maintaining computer systems and the installed instrumentation, and preparing customised reports that can translate data into meaningful actions to improve processes and plant operation, is often not taken into account fully. The best approach is a staged introduction of digital technology, evaluating its benefits and costs before moving to the next stage. It needs to be kept in perspective when considering new technology that humans are good at ad hoc intervention and non-linear reasoning, whereas machines and automation are good at repetitive functions, steady-state functions and transition management, although smart systems are now approaching the human reasoning capability. 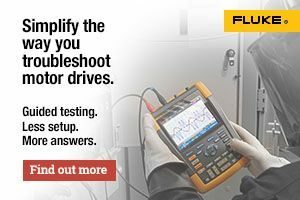 While practical plant operational error is considered a major cause of unscheduled shutdowns, errors in setting up, managing and maintaining instrumentation is an increasing contributory factor. Automation, however, has the overall potential to improve safety (ref 24). It is recommended, before embarking on any major digital automation programme, to discuss the needs with front-line staff since they have the practical plant experience to provide advice on what instrumentation would be most useful and the manpower costs (ref 25). A small amount of remote instrumentation combined with effective assessment of the results and its translation into the practical plant operation is more cost-effective than a large amount of instrumentation with poor data management and practical application. It is true in practical plant management, and to a lesser extent in complicated instrumentation, that the more steps that need to be taken to achieve an end result (including electronic actions) the more plant and instrumentation failures are likely to occur. The improvements that technology offers are seen as reducing maintenance costs by allowing more efficient management of plant and hence improvement in plant availability and reduced manpower needs. Without doubt developments in computing such as the internet and cloud-based information management, incorporation of microprocessors in instrumentation, and increasing developments in smart instrumentation have been accepted by industry, with a resulting improvement in plant reliability. Despite the attractions of new technology, however, the practical servicing of instrumentation and other equipment still remains, for which increasingly qualified and experienced ICA staff are essential. Types of maintenance programs. Operations and Maintenance (O&M) Best Practices Guide: Release 3.0, US Department of Energy, www.energy.gov, 2010. Michaud, D. Basic elements of maintenance management. Ross, J.L. Effective maintenance structuring – do it now. www.reliabilityweb.com, 2018. Mason, S. Improving maintenance: A guide to reducing human error. HSE Books, UK, 2000. Condition assessment and asset performance guidelines – practice notes: Preamble document. IPWEA NAMS, www.ipwea.org.au, 2018. Kennedy, S. Is an on-line monitoring system right for you? Plant Services Special Report, www.plantservices.com, 2018. Wintle, J.B., Kenzie, B.W., Amphlett, G.J. and Smalley, S. Best practice for risk based inspection as a part of plant integrity management. HSE Contract Research Report, 363/2001, 2001. Ottewell, S. Instrumentation: new capabilities boost remote monitoring. Chemical Processing, www.chemicalprocessing.com, 2017. Continuous remote monitoring vs. route-based condition monitoring solutions. Prescriptive analytics and asset management: Putting analytics into action. Special Report, Plant Services, www.plantservices.com, 2018. Wells, M. How the industrial internet is changing asset management. Reliable Plant, www.reliableplant, 2018. 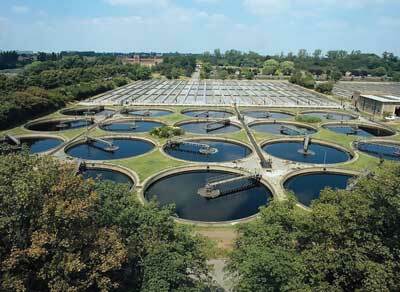 Improving water/wastewater infrastructure performance with operational analytics. Bentley Systems, www.bentley.com, 2018. Goodwin, G. 4 keys to making IoT a success at your plant. Special Report, Plant Services, www.plantservices, 2018. Hurlock, B. Making the IIoT work for you (not the other way around). Plant Services, www.plantservices, 2018. Gupta, S. M. Use automation to reduce operator stress, increase plant safety. Chemical Processing, www.chemicalprocessing.com, 2018.